It started off way back in March with an innocent Facebook post by a well-known artificial grass brand. 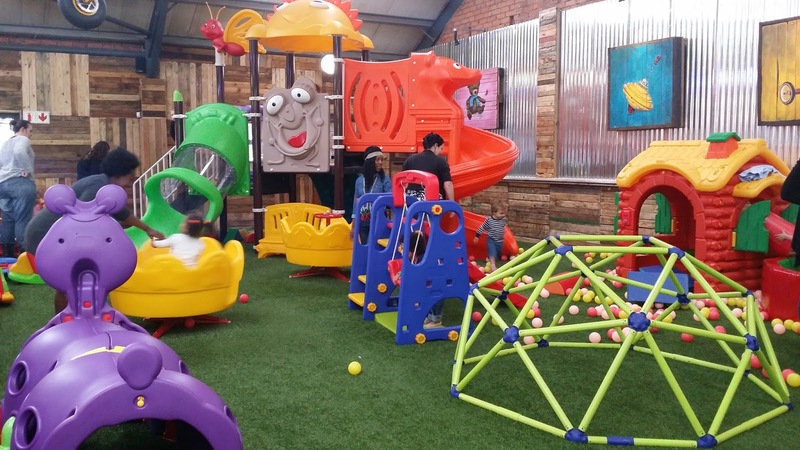 Something about them laying turf at a soon-to-be-opening kids’ play centre in Hillcrest, complete with pics showcasing what looked like sheer and utter kiddie heaven. The mummy questions started flooding in. Where is this place? What’s it called? When will it open? It looks amazing! etc, etc. Pallet Jacks, it turned out, was set to be the hottest kiddie ticket in town. Over the next few months, I was one of the mummies across Durbs keeping our beady eyes on the Pallet Jacks FB page and getting more and more excited as photos showcased various stages of the place’s development. The suspense was all too much. Finally, it opened in full force in June, after doing a few test runs earlier during the month. I visited this weekend with my 2 year old son, my cousin and her 2 daughters aged 3 and 5, and golly gosh, it is lovely. 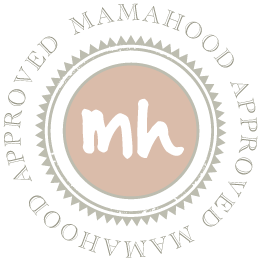 Definitely worth a pop-in if you have kids – be they babies, toddlers, tykes or teens. The guy who seemed to be in charge of the whole thing told us they’d been working flat out day and night for the last nine months adding various finishing touches to the place. You can tell there’s some serious love and passion poured into it. What is it? 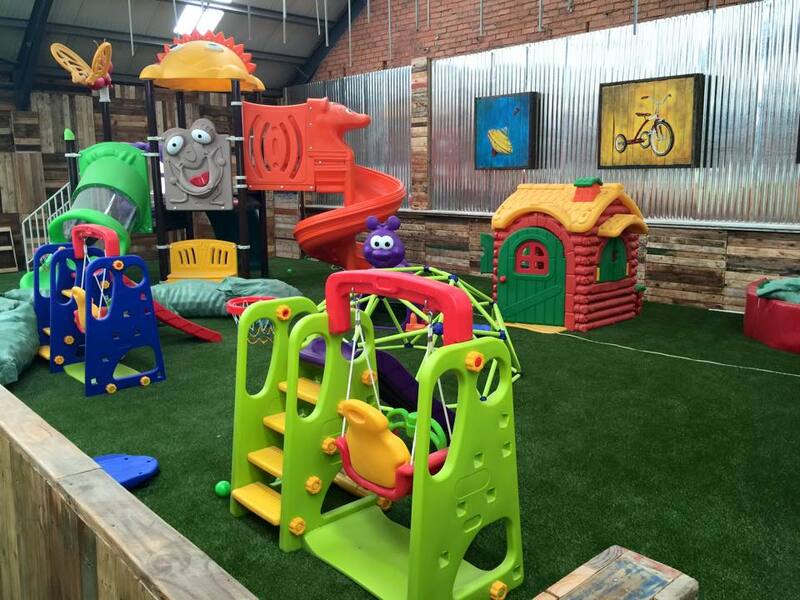 A funky new indoor play centre and restaurant. There are two distinct play areas. 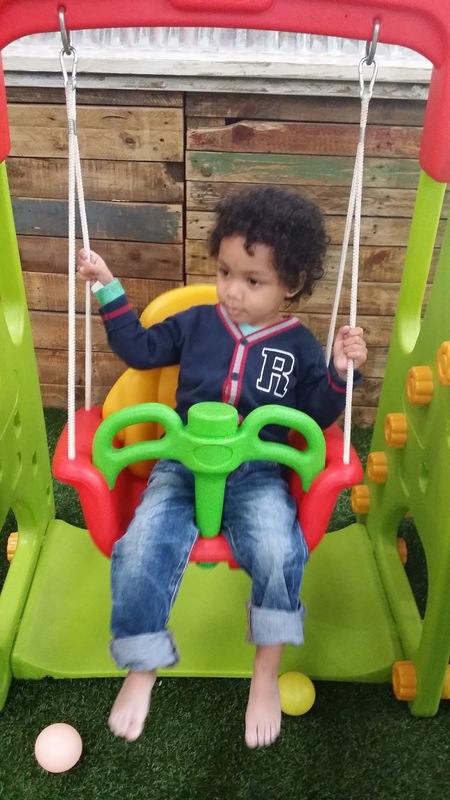 There’s a toddler zone with a merry go-round in one section and swings, soft play systems, ball ponds, jungle gyms, slides, caterpillar tunnels and other fun but safe play equipment in another. And then there is a bigger kids’ zone with a huge climbing apparatus that has all sorts of nooks and crannies for 5 to 15 year olds. There’s also an indoor soccer pitch for some ball action. Check out other pics here. 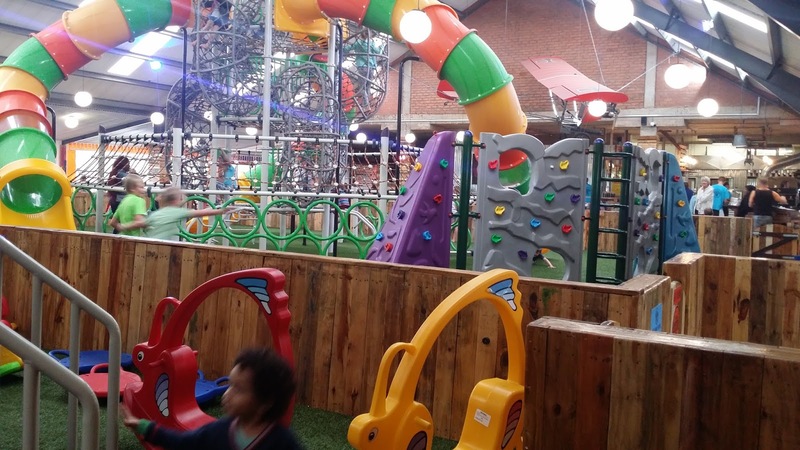 Supervision: They have staff stationed in the play areas to ensure everybody is safe and happy at all times. 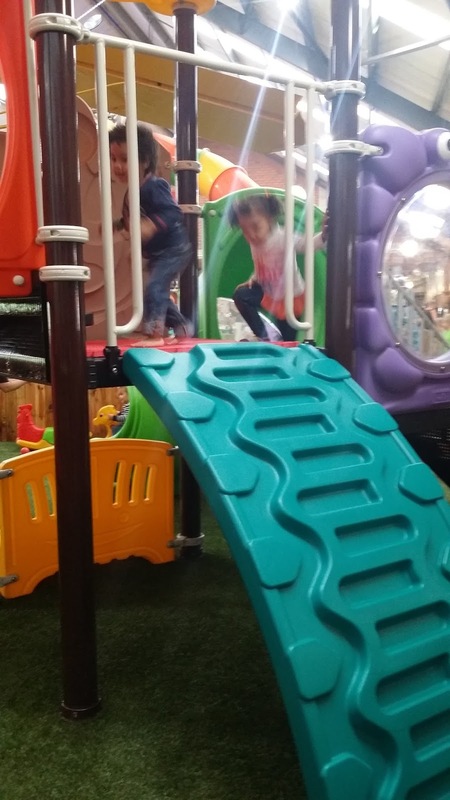 Our one criticism (and one I’ve seen other mums raise on FB) is that the toddler area is located far away from the tables which makes it a bit difficult to be all helicopter mum-ish if you’re into that kinda thing. 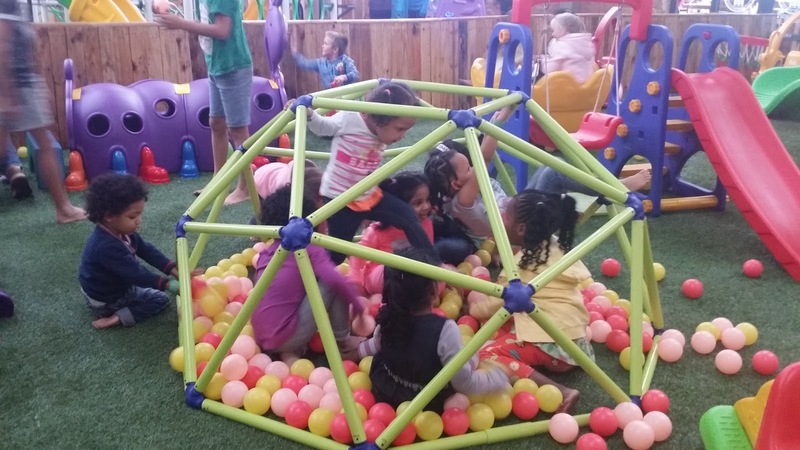 The damage: R20 an hour for kids to play. 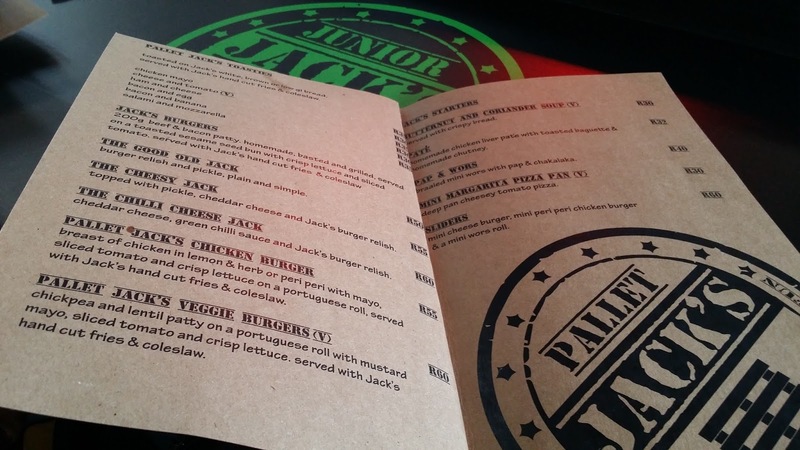 Meals: a fully-fledged restaurant serving burgers, pizzas, salads, hot meals, kids’ meals and lots more, plus wines. All nicely priced. We grabbed a few pizzas and they went down well. 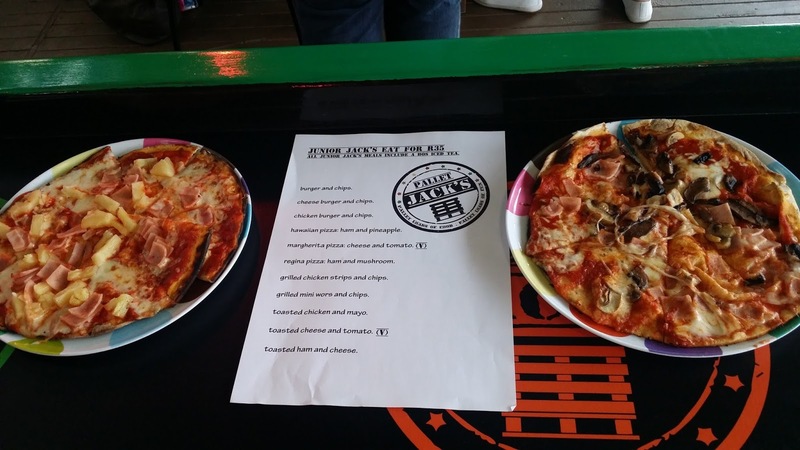 The kids’ meals were R35 for a pizza and a free drink. Our little critics were impressed. Best Bits: For me, the ladies bathrooms were a highlight. I don’t have pics. Just see it for yourself. You’d be forgiven for wanting to stay in them and hide away from the kids for a few hours. And the cosy lounge section at the back, furnished in vintage decor and with plenty of comfy couches just perfect for nursing mums and their babes? What a lekker touch! I love it when family outlets remember the small but important details like this. Not So Good Bits: The restaurant service was a bit slow and haphazard at times. There was more than one hiccup with our order, but maybe we can let it slide because it was their first official weekend open. Filling in indemnity forms at the start also takes a bit of time, although I understand the necessity of these. 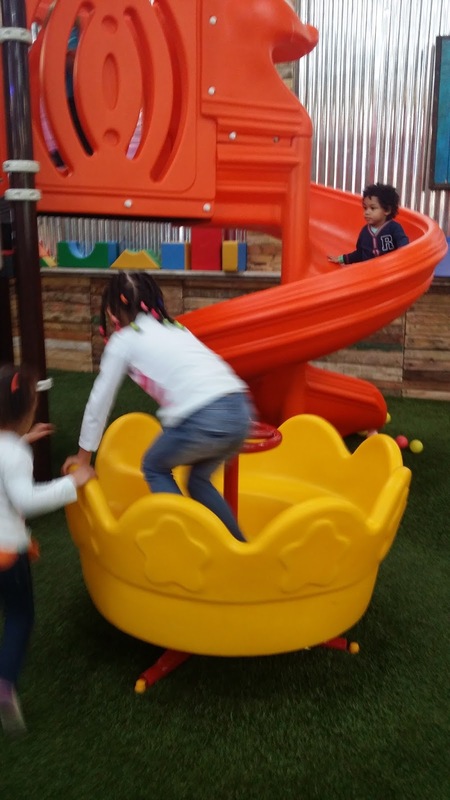 But most of all, the kids loved going nuts in the play area and it was quite a challenge getting them to call it a day. Follow Pallet Jacks on Facebook. You can find them in Oxford Village in the heart of Hillcrest, at 9 Old Main Road. Tel. 031 765 2954. 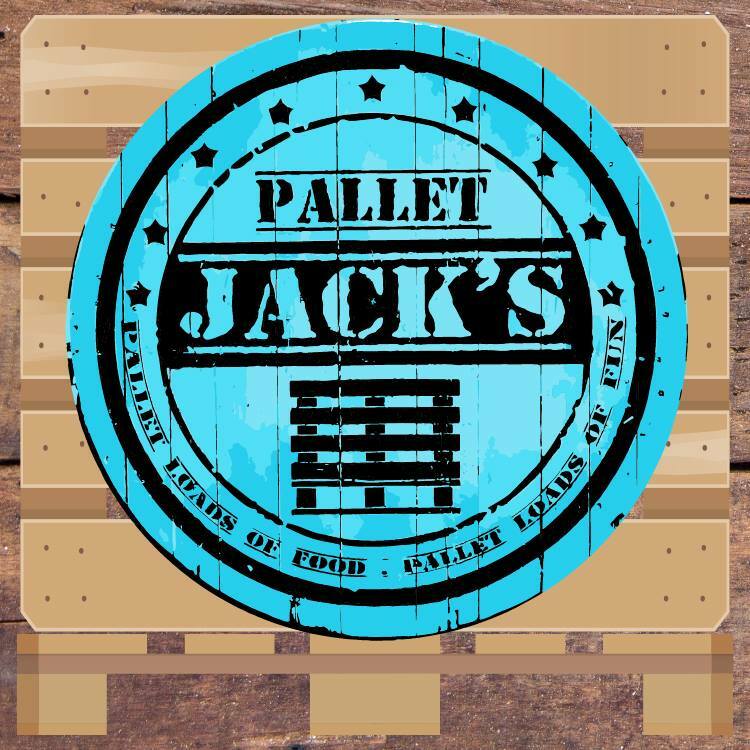 Email info@palletjacks.za.com. They’re open from 7am to 10pm daily, Monday to Sunday. 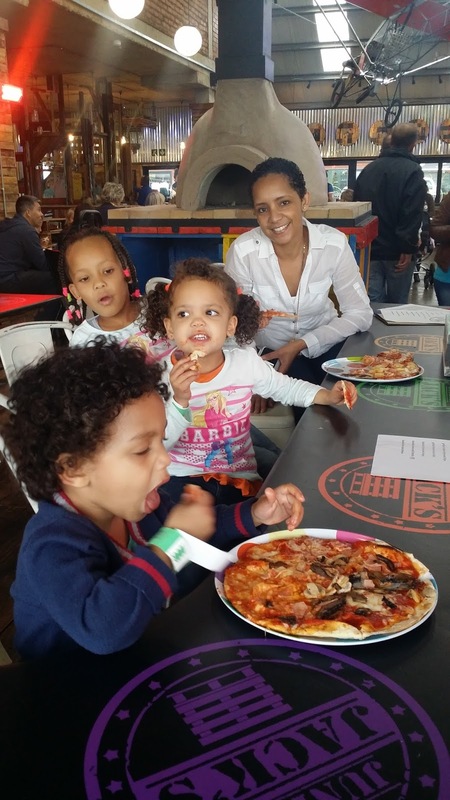 This entry was posted in Durban, Durban kids' activities, things to do in Durban, threenager, toddler. Bookmark the permalink. Oooh wow, I'm on my way to your neck of the woods (home of my youth), going to try to pop in there! You must! I'm sure it was one of your posts that led me to discover Uncle Jumbo's Christmas Party last year! Oops! Thanks for letting me know. Have fixed it.